Yessss! I love mermaid stories. 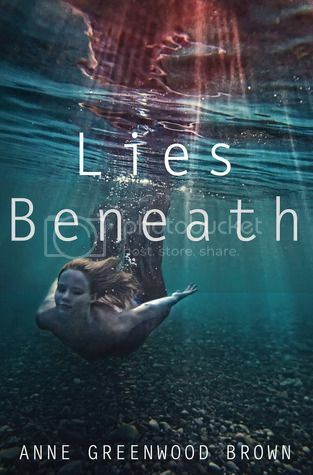 Calder White lives in the cold, clear waters of Lake Superior, the only brother in a family of murderous mermaids. To survive, Calder and his sisters prey on humans, killing them to absorb their energy. But this summer the underwater clan targets Jason Hancock out of pure revenge. They blame Hancock for their mother's death and have been waiting a long time for him to return to his family's homestead on the lake. Hancock has a fear of water, so to lure him in, Calder sets out to seduce Hancock's daughter, Lily. Easy enough — especially as Calder has lots of practice using his irresistible good looks and charm on unsuspecting girls. Only this time Calder screws everything up: he falls for Lily — just as Lily starts to suspect that there's more to the monsters-in-the-lake legends than she ever imagined. And just as his sisters are losing patience with him. Sounds like an interesting twist on the mermaid stories. Thanks for visiting. I love mermaid stories - don't know why. I'm excited that there's so many coming out this year. I'm reading Of Poseidon right now and it is sooooo good. Hi! My first on your blog, Nice! And great pick, this book sounds really interesting, I recently read Tangled tides and it was awesome!!! I've been meaning to start that series! This does sound like it will be a wonderful book to read. This is a mermaid story I haven't heard of yet! But it does sound interesting! Thanks for bringing it to my attention! Oh man, I was scarred by Ripple, which is a Siren YA. Maybe a mermaid book will help heal the wounds? But I might side with Poseidon first... will have to wait for your review! Yikes! I liked Lost Voices - about some murderous teen girl mermaids. Lies Beneath sounds a little bit along those lines. I loved this book :) I really hope you'll enjoy it once you get a chance to read it!